Are ants trying to ruin your picnic? If you’re human, it’s quite likely that they are. 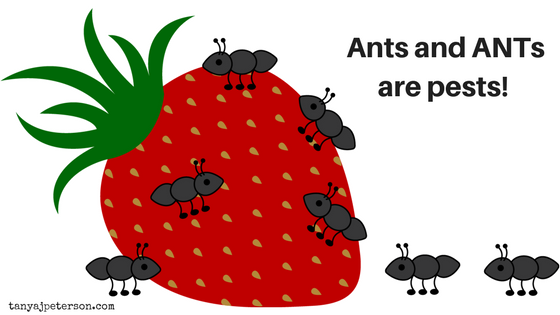 Ants are pesky little critters that love picnics, and ANTs are pesky little (or big) thoughts that love our mind. No matter what kind of ant you are dealing with—the insects or the negative thoughts—you don’t have to let them ruin your picnic. In the world of psychology, ANT is an acronym for automatic negative thoughts. These are thoughts that pop into our mind without us giving them much thought. From the moment we are born, we begin to take in the world around us. We see things happen, we watch the reactions of others, and we feel and become aware of our own responses and emotions. As we grow and develop, we form cognitive distortions, ways of thinking about ourselves and the world that are our own unique interpretations. Think, for example, of two toddlers. Both are outside playing and exploring, and both stumble over a rock, falling to the ground and scraping a knee. Bewildered and a bit stunned, the children turn to the parents to gauge their reactions. The parent of one child rushes up, very anxious and tense. This parent swoops up the child, frets and worries, points out the problematic scrapes, and tells the child that he should stay away from the rocky area and even sit down out of harm’s way. The child starts to cry, and he begins to learn that the world is dangerous and anxiety-provoking. The parent of the other child approaches him calmly. The parent swoops him up playfully and assesses the boo-boo in an attentive but silly manner. The child giggles. Then, the parent suggests that they check out the rock. Finding that the rock is just fine, the parent and child move the rock out of the way. The child resumes playing. This child learns that he can fall and get scraped, but that things are still okay. The first toddler is forming automatic negative thoughts about himself and the world, ANTs that could very well negatively impact his mental health and wellbeing. The second toddler, on the other hand, is also forming automatic thoughts. Some are negative (the rock, after all, was jarring, causing disruption and pain), and others are positive. As these children grow, countless incidents that occur every single day will shape their outlook. It’s like this for all of us. We form automatic negative thoughts throughout life. ANTs are present, they bother the way we think about ourselves and the world, and they can block the actions we want to take. These thoughts can intrude on the picnic of our lives. When we allow our negativity bias to have a welcome place on our picnic blanket, we make a nice, easy path for ANTs to rush in, multiply, and take over. They even burrow into the picnic basket and creep and crawl on all of the sweet stuff in our lives. Some of the ANTs, such as the ones that discount the positive, minimize the good, or magnify the ants-y picnic, make it seem like we can’t do a thing about our ant-infested life. ANTs Don’t Have to Ruin Your Picnic—or Your Life! The wonderful thing about automatic negative thoughts is that they are indeed distortions. Just because we have learned to think something doesn’t make it true. We really, truly don’t have to let ANTs ruin our picnic (because who wants to have an ant-infested picnic in the summer time, or any other time of year?). Next week, I’ll give you some tips for keeping ANTs out of your picnic and filling your picnic basket with things that enhance your mental health and wellbeing. Source: Burns, D.D. (1999). The Feeling Good Handbook. NY: Plume. Subscribe to my monthly newsletter, Wellbeing & Words! Just scroll to the bottom of the page to find the form.